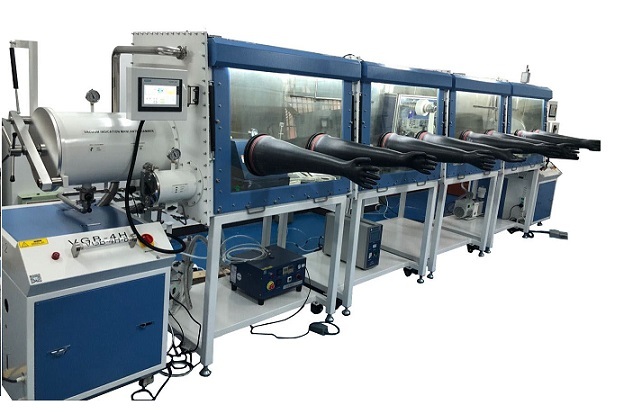 VGB-6-IV-LD is a four stainless steel glove box with two middle openable front windows designed for the Lithium-Sulfur & Lithium-Metal battery research in One glove box. 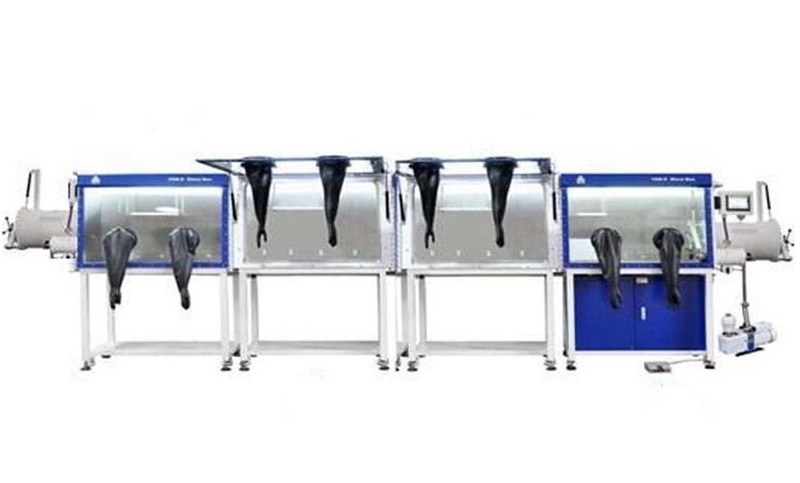 The purification cylinder is made of BASF antioxidant materials from Germany and UOP water adsorbent materials from the US in order to achieve a low water and oxygen concentration of lower than 1 ppm, such the experiments can be conducted in an ultra clean and highly purified gas environment. 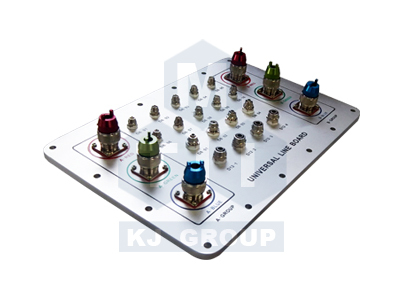 It is integrated with the vapor pressure control system, purify control system, automatic gas purity regeneration control system, auto alarm, and system data log recording. Four slidable shelves are built in the glove box to make operations easier. VGB-12 is perfectly fit for Lithium-sulfur and lithium metal battery research. 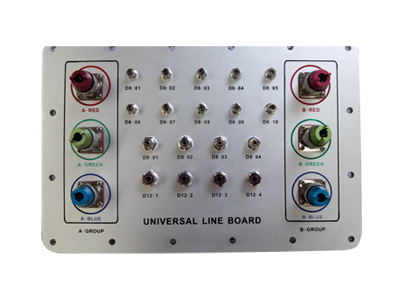 Universal terminal panel is a convenient part with varies feedthrough built-in for VGB series glove boxes to transfer gas/vacuum pipelines, circuit cables, etc.